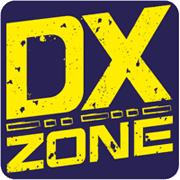 27MHz DX-Pagina - Dutch web site dedicated to freebanding on 27 mhz. DeltaKilo Yahoo Group - This is a group for CBers, Sidebanders, Amateurs and Freebanders. Items to be discussed are CB, Skip, Skeds, DX communications, SSB, export radios, Radio equipment, mods, ham radio, repairs, electronics, CW, PSK31, RTTY, digital, and different radio shops. QRP LABS - The QRPLABS series of single band QRP CW tranceiver kits are high performance CW tranceivers with easy operating features, small size and light weight.